Your home is an extension of your body and spirit… so as you give to your home, you give to yourself. According to experts in the field, certain plants are better able to promote positive energy and give us a sense of well being every day, compared to others. 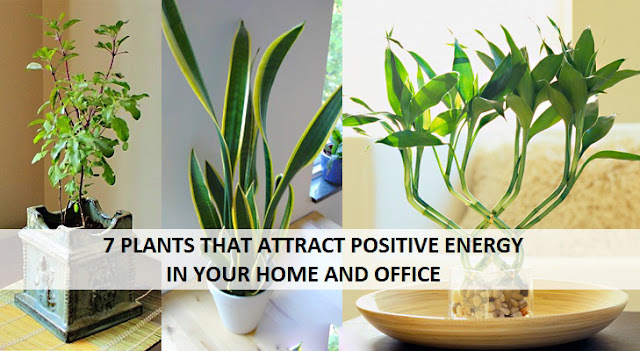 You can reduce the negative energy by adding some specific plants to your home. This herb attracts love and encourages lust, has properties of protection and purification, and helps with healing. It improves memory and mood. Besides having a fresh rosemary plant at home, it is also recommended to place a few sprigs of rosemary in cloth bags and distribute them in several areas of the home to attract the loyalty of those around you. This plant has been used for thousands of years in Asia as a symbol of good fortune and prosperity. Place it in a corner of a room that has low lighting and away from direct sunlight. Keep it in a glass bowl with about 1 inch of distilled or purified water. Peppermint is the welfare plant and it is believed that those who have a fresh peppermint plant, attract economic prosperity. It can also help improve the communication in your home. Lavender can dispel depression, and helps to control our emotions. Sprinkled on your pillow it encourages sleep. It promotes happiness and harmony in the home by providing tranquillity, ensuring fidelity and devotion in relationships. This plant attracts positive energy while improving the energy of the home and also the lives of the homeowners. The orchid has long-lasting flowers that come in a variety of shapes and sizes, and has a sweet and pleasant fragrance that serves as a mood-booster. Orchids release oxygen at night, so the bedroom is a good place to keep an orchid . Jasmine attracts money and love into your home. Jasmine oil is known for being one of the most powerful aphrodisiacs. It is recommended to have this plant in the bedroom or in the areas where the couple is mostly likely to share time together, because it attracts positive energy which will strengthen the relationship and build romance. Aloe Vera is said to be one of the strongest to fight against bad vibes. It is known for attracting prosperity and positive energy anywhere in the home where it is located.